Delivering Careers Education, Information, Advice and Guidance (CEIAG) in schools can be difficult, especially with the limited time and resources that are allocated to what I believe is one of the most important elements of education. Working in my community (inner city Birmingham), the importance of CEIAG is magnified when you consider that 3/5 of the children I work with are considered to be living in poverty and most don’t have a working adult at home. Clearly, the need for initiatives like this has never been greater. That’s why for me, and the young people I work with, Barclay’s LifeSkills is a game changer. 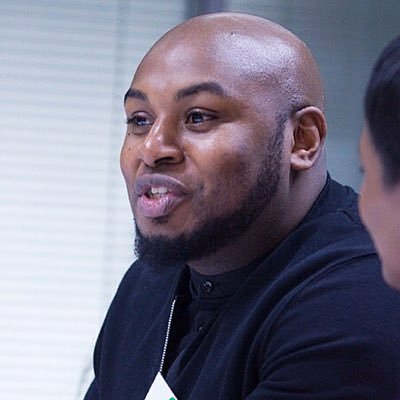 I work in schools as an educator mentor and coach, while also running a community organisation right in the centre of the Birmingham, and I have found that young people are questioning the relevance of school now more than ever before. They’re told that they need to go to school and pay attention so that they can get a job, all the while going home to jobless parents, in areas of record-breaking unemployment statistics. Many have few or zero aspirations related to careers and so the reasoning or the ‘why’ behind engaging wholeheartedly in education doesn’t match with their reality. This is where I come in. My job is literally the greatest job in the world. I work with children and young people helping them to raise their level of aspiration and opening their eyes to the world of opportunities that await them. Barclays LifeSkills plays a MASSIVE part in this! I’ve been an advocate of this initiative from the beginning and continue to use it to this day. The impact on my young people has been incredible. From students who have been excluded, to the academically bright but woefully unmotivated, there is something here for every young person. The Barclays LifeSkills curriculum includes lessons on being enterprising, goal setting, money management, networking, digital skills, confidence, resilience and so much more. It’s depth and relevance are what make it so effective and I believe it’s a crucial tool for every classroom in every school. Each subject comes with readymade lesson plans, student resources and powerpoint/interactive presentations (where relevant) making its delivery light work for even the busiest teachers, and, you can request Barclays volunteers to deliver them at your school. No, you’re not dreaming. This is for real. Did I mention, it’s free? Tools like the wheel of strengths are great at identifying potential careers and jobs based on personality, interests, and skills, and the reason I really like it, is because it actually tells the young person, based on their results, some of the areas, careers, and jobs that they may excel in, based on their input. Most importantly it opens up a world of new opportunities and options that they never knew they had. As a teacher, Barclays Lifeskills is one of the best ways of ensuring that your pupils are academically and practically educated, and prepared for the world that awaits them outside the school gates. That’s why I believe Lifeskills is a game changer.